Dreams do come true, especially for women who grew up dreaming of a fairy tale wedding modeled after their favorite Disney Princess character. Alfred Angelo and Disney will debut their first collection of bridal gowns, Disney Fairy Tale Weddings by Alfred Angelo, at the National Bridal Market in Chicago on October 2, 2010. Marking their first collaboration, the bridal gown collection is inspired by the essence, style and personality of seven iconic Disney Princess characters: Ariel, Aurora (Sleeping Beauty), Belle, Cinderella, Jasmine, Snow White and Tiana. The Disney Fairy Tale Weddings by Alfred Angelo collection will be available in sizes 0 to 30W, at all Alfred Angelo Signature stores and select Alfred Angelo wholesale Partner Bridal Boutiques in 2011. All gowns will be priced $599 to $1,199. Sneak peek footage of the gowns can be seen in this new behind the scenes YouTube video from Disney Living. “Every bride wants to be a princess on her wedding day, and through this collaboration with bridal fashion experts Alfred Angelo, we can now extend the reach of the Disney Fairy Tale Wedding brand and make beautiful Disney Princess-inspired gowns accessible to all brides at a broad retail distribution and affordable prices,” says Pam Lifford, executive vice president, global fashion and home, Disney Consumer Products. 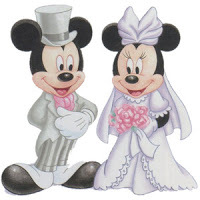 Acclaimed Alfred Angelo designer Michael Shettel designed the Disney Fairy Tale Weddings by Alfred Angelo gowns. Michael has a keen eye for trends and the ability to translate that vision into beautiful gowns. As a result, Michael sought to capture every girl’s fantasy of feeling like a princess on her wedding day, while being inspired by the magic and identity of each Disney Princess. With each gown, brides can showcase their personal style. The collection includes classic, grand ball gowns in layers of tulle and sparkle net, updated fit and flare styles to highlight curves and movement, and pleated and wrapped bodices to flatter the bride’s figure. The treasures of the sea inspired Ariel’s gown. The mermaid silhouette features re-embroidered lace, pearl beading, and sequin sparkles. Sleeping Beauty’s gown is romantic with a dreamy, willowy skirt for this slumbering princess. Belle’s wedding dress, with a draped waistline is inspired by the iconic ballroom dance scene from the film and focuses on making a grand entrance. Cinderella’s gown radiates with sparkle as its inspiration is the fairy tale’s enchanted glass slipper. Jasmine’s wedding dress conveys freedom and individuality and as a result her shimmering soft satin gown is exotic with a bejeweled neckline and low cut back. Snow White’s dress is inspired by nature, beauty and grace like the Disney Princess character herself The regal, one-shoulder taffeta gown for our newest princess, Tiana, reflects her independent spirit with an asymmetric bodice and ruched skirt. Founded in the 1930s by Alfred Angelo Piccione and his wife, Edythe Piccione, Alfred Angelo is one of the world’s leading makers of wedding gowns and bridesmaid dresses and is committed to providing beautiful, high-quality bridal and formal dresses at affordable prices. In addition to manufacturing dresses distributed in over 2000 wholesale stores worldwide, the company operates Alfred Angelo Signature Stores located in Arizona, Alabama, Arkansas, California, Florida, Louisiana, Maryland, Mississippi, Nevada, New Mexico, New York, Ohio, Oklahoma, Pennsylvania, Tennessee, Texas, Virginia, and Washington. For more information about Alfred Angelo, please visit http://www.alfredangelo.com/.